Look in your kitchen cabinet and you may find some great ingredients to make some DIY hair masks. Be creative and mix together some of the ingredients I will talk about below. I've made two hair masks at home that I will talk about below. 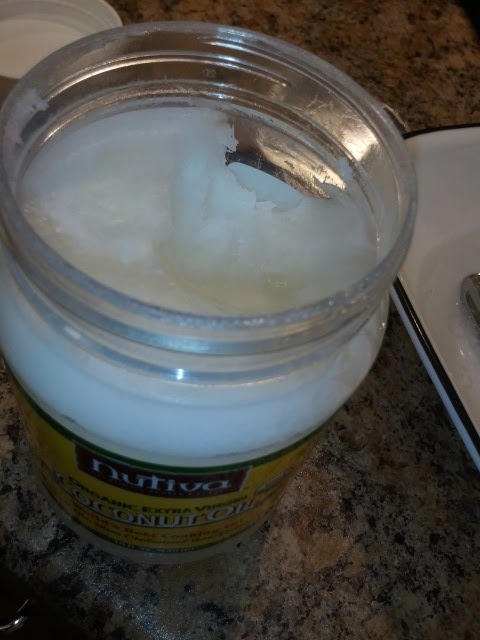 Coconut oil is a oil that comes in a solid white form that has a variety of uses from cooking, skin moisturizer, hair masks, and treatment of certain ailments. To make this mask, I used a knife to cut thin slices of the coconut oil and then placed it in a bowl that had some hot water in it already to liquefy the solid oil. 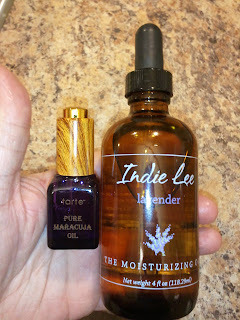 I then added some Maracuja, lavender and jojoba oil to the mixture. I mixed this all together in the bowl and applied it to my hair. I just applied with my hands, but it would be easier to apply with a basting brush which I do not have. 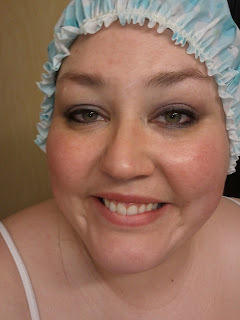 You can either apply a shower cap over top or wrap plastic wrap over your hair to make sure the hair receives some heat. I also used a blow dryer for a couple minutes throughout the wait. I kept the hair mask on for an hour and a half. The great thing about this is that since it is a skin moisturizer too you can just apply any excess onto your face or rub into your hands or elbows. 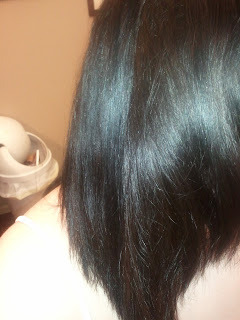 My hair was super shiny and soft!! 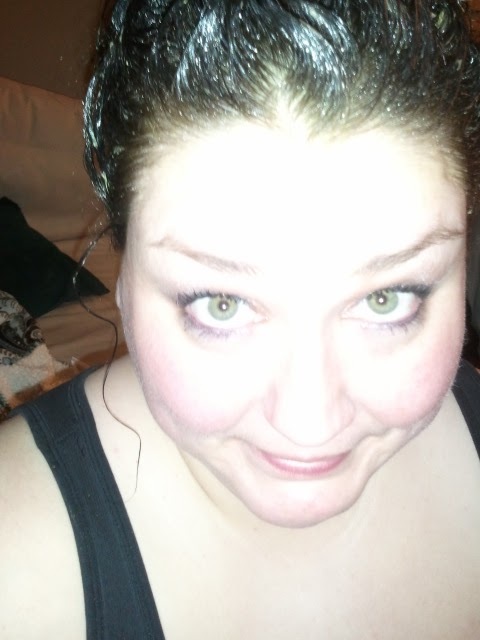 Tonight I made an avocado hair mask. I smashed up 1/2 of an avocado. Avocado is a great product to use for dry hair. I then applied about a tbsp of lemon juice. 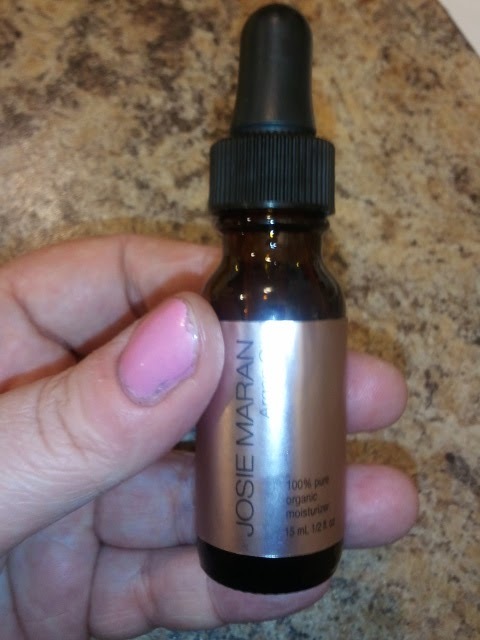 I also used a full dropper of Josie Maran's Argan oil, tsp grape seed oil, a small amount of liquefied coconut oil, and some lavender oil. You can pretty much have fun and create great hair masks by mixing together household ingredients like avocado, grape seed oil lemon juice, and coconut oil. I would suggest doing a hair mask once a week. Super soft, smooth, & shiny and smells great! What ingredients make great hair masks? also used as a cooking oil high in antioxidants, Grape seed oil can be added to your hair mask. It contains a high amount of Vitamin E. This is great for those with sensitive skin and moisturizes the scalp. this is a highly moisturizing oil and can also be used on skin.This oil is easily absorbed into the hair and also helps with split ends and breakage. This increases circulation to the follicle and can help with hair growth. Since it is moisturizing and great on the scalp, I would recommend doing a hot oil treatment with this oil for 20 minutes for any dandruff problems. This is an antiseptic and helps to invigorate the scalp. This has sometimes been used as a treatment for hair loss. 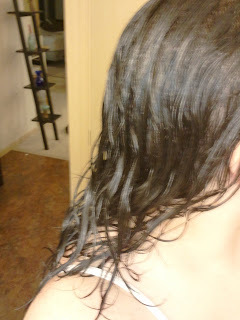 Moisturizing oil that can help moisturize the scalp and prevent hair loss, light sunscreen. Can also be applied to dry hair to protect from the weather elements. This can be used to lighten hair or can be used as a rinse to clean out buildup your products may leave in your hair. This also adds a refreshing scent and can be added to masks like avocado masks to give it a more liquid texture. This can increase shine and volume. This can be used to help repair split ends. You can make a shampoo with 12 ounces of liquid castile soap and 1 ounce of liquid vitamin E and you can use this for daily use. You can also blend equal parts of this oil with other oils like jojoba, olive, coconut, and hemp oils to create a hair mask. You can also apply this to your face and is great for sunburns or chapped lips. Great for thinning hair and to keep darker hair shiny. Can use chamomile for lighter hair. promotes elasticity, helps with hair growth, restores smoothness, has antioxidants to strengthen and protect, contains Vitamin E. You can apply this to your hair before a shower and wrap in plastic wrap or a towel for 20 minutes before showering. You can also apply a few drops to wet hair. This can moisturize and protect hair, split end repair, dandruff eliminator, and can easily be mixed with other oils. This acts as an emollient which can have a softening effect and prevent water loss. This is also great for conditioning greasy hair. 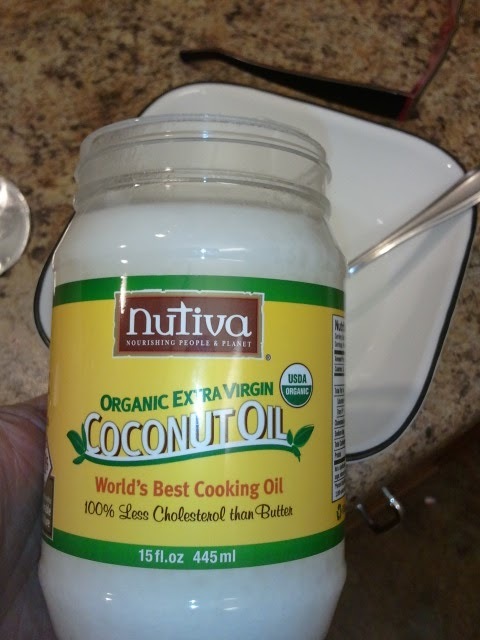 This contains Omega 6 fatty acids which is essential for hair health. This can also help with thinning hair issues. This contains protein which may help with hair health and growth. You can mix this with Castor oil in equal parts and massage into the hair (will be tar-like consistency) and leave on for 15 minutes. You can also apply this with 10 drops of jojoba oil, one ounce almond oil, and an egg yolk, leave on for 15-20 minutes and rinse out. Rich in essential fatty oil, vitamins, and proteins. Contains Vitamin E, is great for conditioning and softening hair. There are many other oils and products like oatmeal, lemongrass, etc that you can add to your hair that may be in your cabinet already. This may also save you money in the long run by buying these products and applying them directly instead of buying pre-made products with claims to have these ingredients in them. 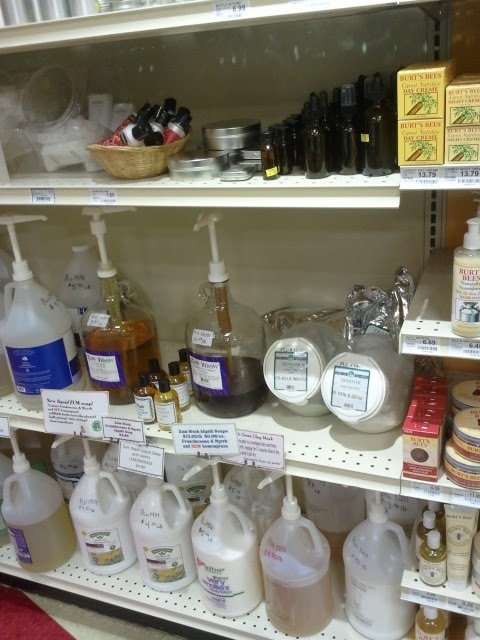 I would try to find organic oils. For example, the Coconut oil you used should be virgin coconut oil that has not been processed or bleached. Many of these oils are also great for lips, skin, and your face, making them an all over better choice. These oils will not clog your pores or make your skin look oily or greasy. I would recommend checking out Josie Maran for Argan oils and Indie Lee also carries a bunch of affordable oils. At the local food co-op here there are bulk bottles which you can use to fill your own smaller bottles. These will cost you less overall to purchase this way. Check out your local food co-op where there may be more natural or organic hair and skincare options. I would also check local markets and the oil section of your supermarket. Oils such as Vitamin E can be found in personal care or the vitamin health aisle at a drugstore. You can also create DIY scrubs by mixing oils with sea salt or sugar. Just keep your eyes peeled for affordable options. Great post! My hair needs a mask after coloring it the other day. These ingredients should be color safe too, right? 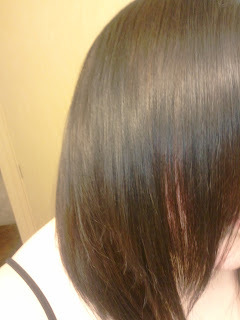 Yes, I didn't come across any information that would indicate they wouldn't work with color treated hair. 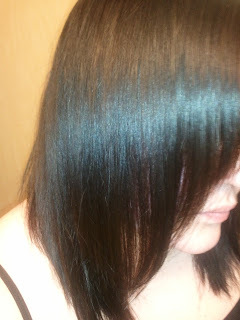 My hair is color treated and both were fine for me. I would be careful with the lemon juice since it can have lightening properties, but other than that, all should be good.